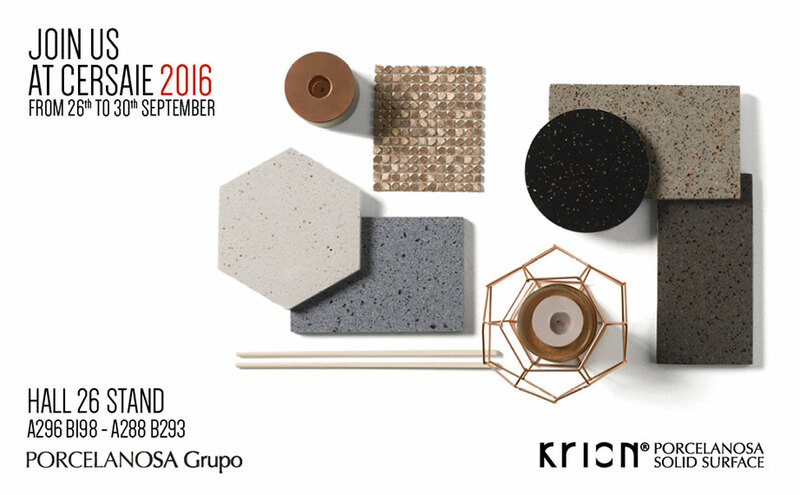 From the 26th to the 30th of September, in the Italian city of Bologna, CERSAIE 2016, the International Trade Fair for Ceramics in Architecture will take place, one of the most important trade fairs in the sector. Once again this year, PORCELANOSA Group will be present showing the new products of the 8 firms which make up this Spanish company. In particular, at KRION® we will present the new products of its sheet format, 5 new colours from the ROYAL+ series and the ASTEROID series. The range of sinks has been expanded with the STYLE Collection series and LINKING Collection series, with stainless steel finishes. New products in the 3WAY/UNIQUE series will also be presented. You can visit us in Hall 26 Stand A296 / B198 – A288 / B293. We will be waiting for you!